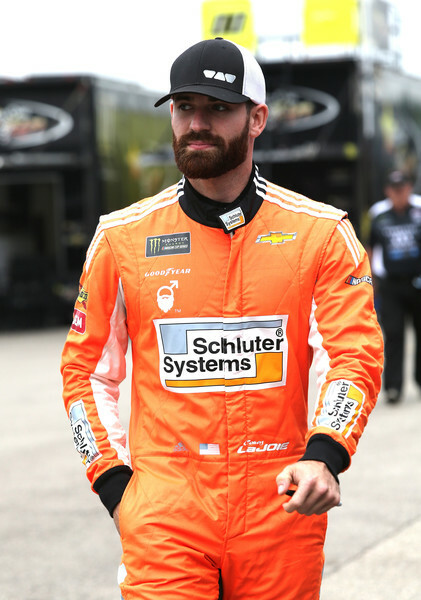 Go Fas Racing is proud to announce that Corey Lajoie has been signed as the driver of the No.32 Ford Mustang for the 2019 Monster Energy NASCAR Cup Series season. LaJoie will compete full-time with Go Fas, beginning with the 61st running of the Daytona 500 in February. LaJoie, a 27-year-old third generation racer, is a North Carolina native with a family deeply rooted in motorsports. His grandfather, Don LaJoie, is a member of the New England Auto Racing Hall of Fame alongside his father, Randy LaJoie, who won NASCAR Xfinity Series Championships in both 1996 and 1997. Corey has six wins in the NASCAR K&N Pro Series East, three wins in the ARCA Series, and several top 10’s in NASCAR’s top series. He completed his rookie campaign in the 2017 Monster Energy NASCAR Cup Series and earned an 11th place at Daytona International Speedway, his highest rookie finish in the Cup Series. In 2018, he piloted the No. 72 Schluter Systems Chevy for TriStar Motorsports, part-time. LaJoie will be joining veteran Crew Chief Randy Cox at Go Fas, who began working with the No.32 team early into the 2018 season. LaJoie and Cox worked together at BK Racing in 2017, where they ran 17 races together, including a career-best finish for LaJoie in the Monster Energy NASCAR Cup Series, 11th. Mason St. Hilaire, Go Fas Racing General Manager is excited about the potential of the No.32 team heading into 2019. “Every year we feel like our program takes a step forward and securing Corey should help us continue to move that direction. We’ve learned and grown a lot in our time in the Monster Energy NASCAR Cup Series and I believe our results reflect that growth. We’re very excited about the potential our team has this year. Every year we’ve been able to improve our program in different areas, and we fully believe that this coming season will be no different. Corey is a driver we’ve kept our eyes on for several years and he’s impressed and delivered when given the opportunity. We think he’s a great fit for our program and can’t wait to get this season underway,” St. Hilaire said. Go Fas Racing is also proud to announce that CorvetteParts.net / Keen Parts will continue to be a partner of the No.32 team for the seventh-straight season. Schluter Systems will be partnering with Corey for a third consecutive season. The team is also looking forward to announcing more 2019 partners in the coming months.